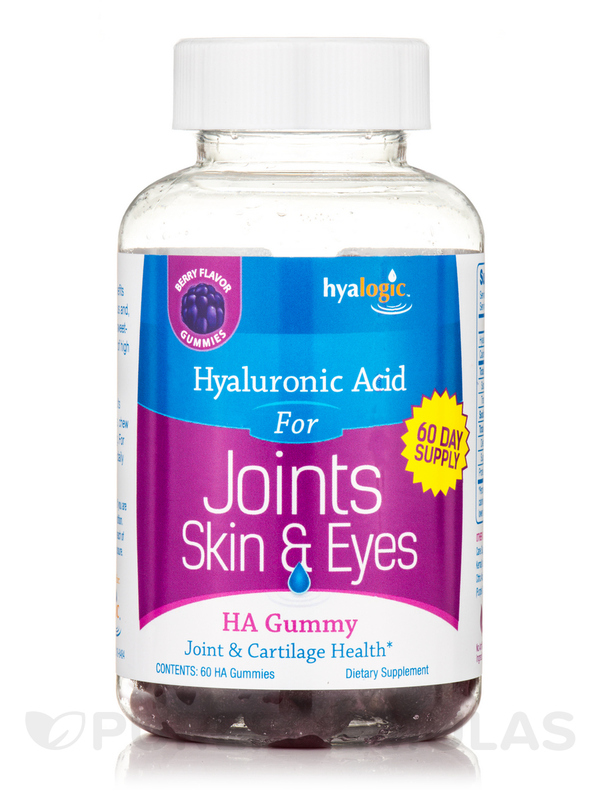 HA gummy makes getting the benefits of Hyaluronic Acid (HA) simple‚ delicious and‚ well…fun! After all‚ a nutritional supplement cannot help you unless you take it. 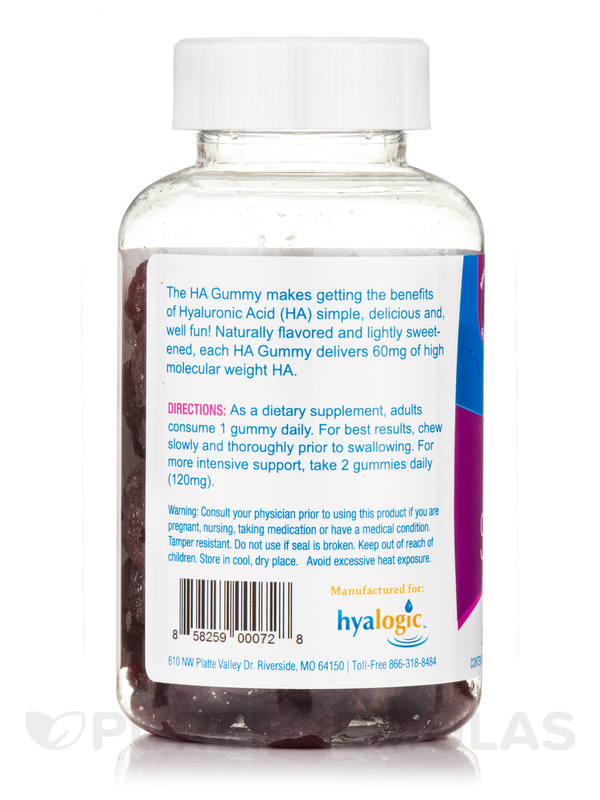 Naturally flavored and lightly sweetened‚ each HA Gummy delivers 60 mg of high molecular weight HA. Best of all‚ it tastes so good‚ taking it feels like a treat! 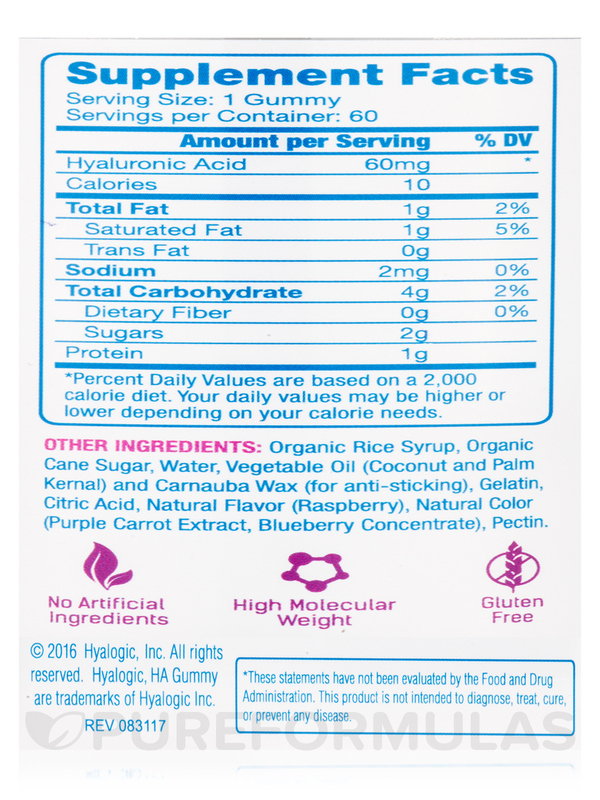 Other Ingredients: Organic rice syrup‚ organic cane sugar‚ water‚ vegetable oil (coconut and palm kernal) and carnauba wax (for anti-sticking)‚ gelatin‚ citric acid‚ natural flavor (raspberry)‚ natural color (purple carrot extract‚ blueberry concentrate)‚ pectin. 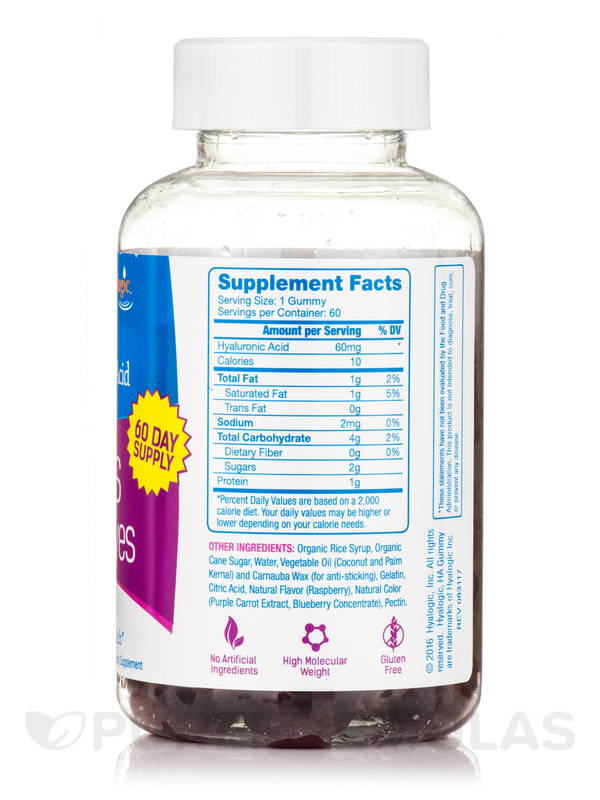 As a dietary supplement‚ adults consume 1 gummy daily. 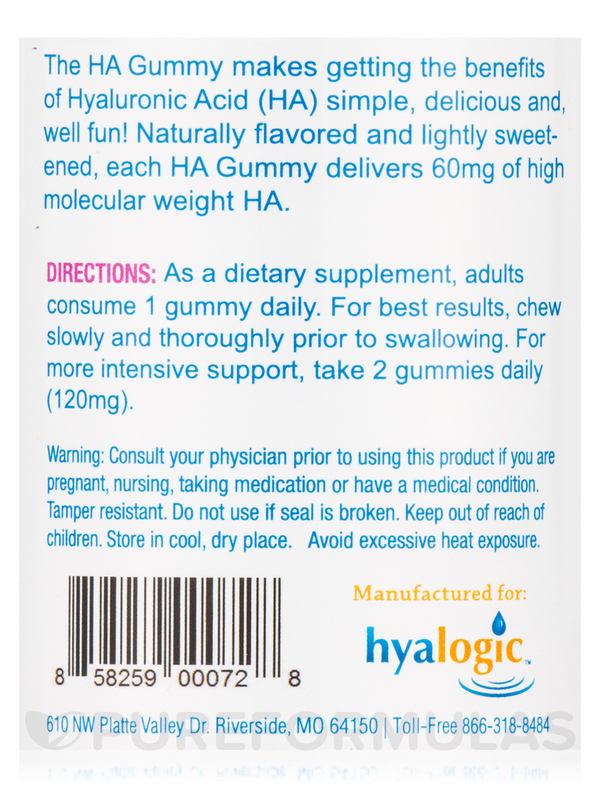 For best results‚ chew slowly and thoroughly prior to swallowing. 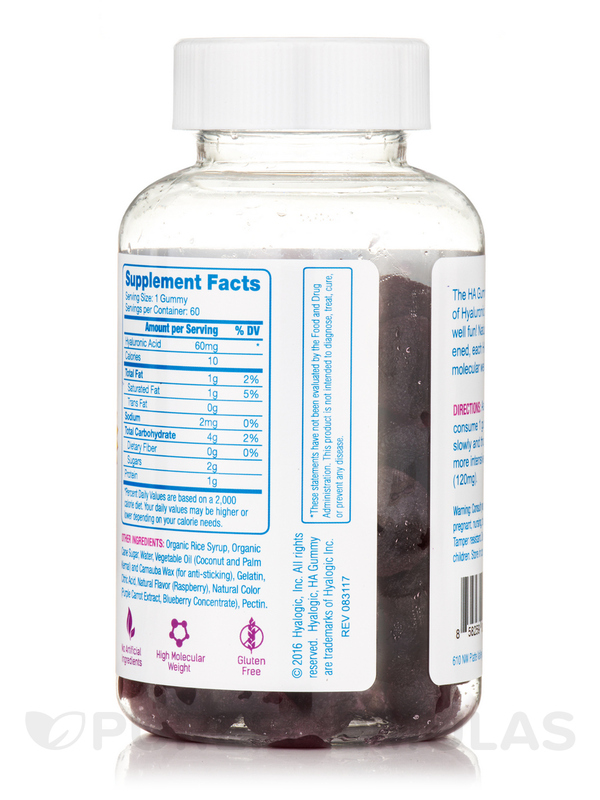 For more intensive support‚ take 2 gummies daily (120mg).